The Brooklyn skyline, punctuated by giant bottles and the Sixpoint home base, set on a dark and mysterious night. 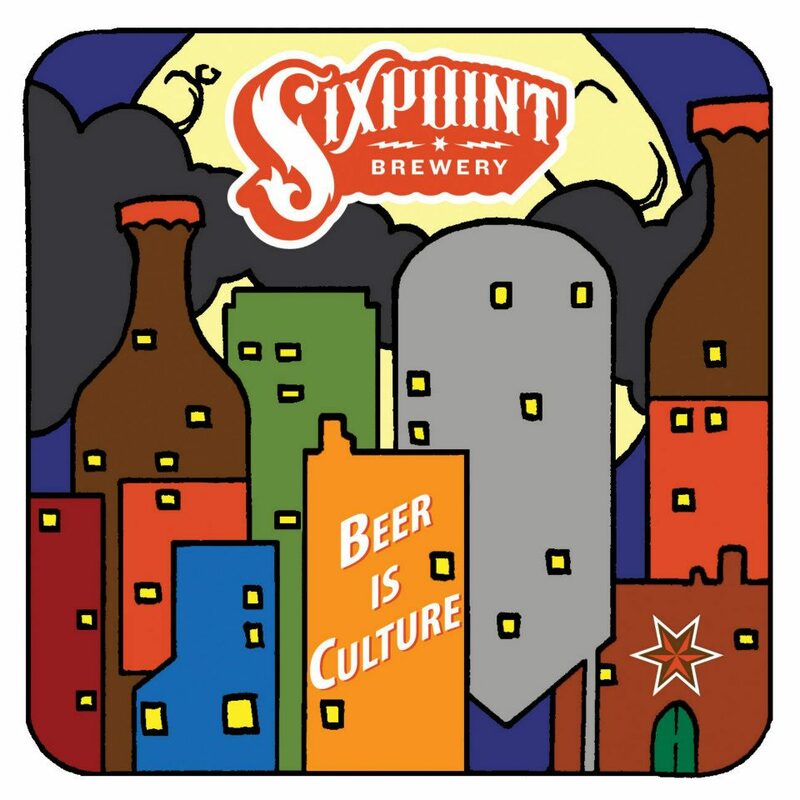 This image, crafted by today’s artist, Jesse Brookstein, shows how the city embodies the beer culture within it – so much of the culture of Sixpoint is rooted in it’s Brooklyn heritage, and Jesse’s work encapsulates that ideal. Learn about the man behind the mystery below. I’ve always loved the way a city can shape the very being of it’s inhabitants, how people become reflections of their surroundings – for good or bad. As craft brewing continues to find it’s way into our culture, it’s inevitable that the beer too will be shaped by the area in which it’s brewed. A consumer builds a relationship with a regional beer and brewery in the very same way the fermenter and beer bottles leave their imprint on the city’s skyline. I attended the Art Institute of Pittsburgh for a whopping one semester and eventually received my associate’s degree in graphic design from a local community college in upstate NY. After an additional four years of college studying, ahem, communication, I began working in the craft beer industry, doodling here and there when I’ve had a chance. I think it’s an incredibly tight-knit relationship, and with this piece I attempted to bring the two worlds together. I drew the basic image with pen and paper in an effort to mimic a more textured Illustrator design, and my special lady friend, Chelsea Giordan, used her computer skills to bring the piece to life. Frank Miller, Shaun Tan, Jim Lee, the untiring Tom Patterson, and of course, the one and only Bruce Springsteen. From the beer gardens of Germany to the industrial park tap rooms of America, and all points in between, there’s nothing like the camaraderie between friends and loved ones while sharing a pint of one’s favorite brew. More than anything, there’s an honesty behind craft beer, a reflection of who we are as a people, a bare bones sense of purpose built on a passion to create and enjoy something an entire community of fans can love and respect. That to me is culture, brought to you by beer.